Awareness Magazine features A DOG NAMED LEAF on the cover. 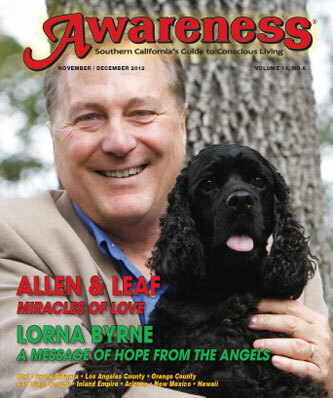 Allen Anderson and his new book A DOG NAMED LEAF is featured on the cover of Awareness Magazine for the November/December 2012 issue. Included in the magazine is an article about Allen and his work sharing stories about the bond between animals and their people. With all our writing about the release of A DOG NAMED LEAF, you may have been wondering if we have forgotten about cats. Never fear. Cats still make us purr. 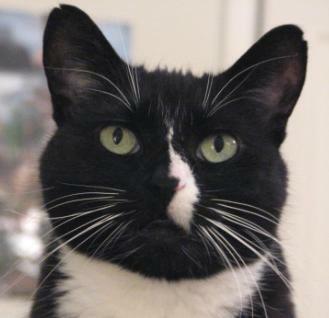 Our sweet little black-and-white kitty Cuddles remains a star in our universe. We treasure her intuitiveness and intelligence but most of all, her kisses. Our mornings start with Cuddles licking Linda’s fingers a minute before the alarm is set to ring. She’s never been wrong about the fact that it’s time to get up. So as we approach Thanksgiving, we are grateful for Cuddles and all the other cats who have enriched and blessed our lives — Mugsy, Fiesty, and Speedy. Each of them brought their special gifts and taught us how to be more gracious. Speaking of gratitude, we have to mention how exciting it was when Allen had the lauch of his new book at Common Good Books in St. Paul, Minnesota last week. The stores’ renowned proprietor, the ever-entertaining and witty Garrison Keillor, stopped by and said hello prior to the event. 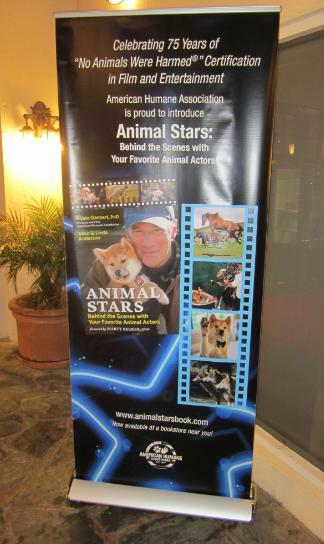 Go to http://www.angelanimals.net/nlimage98.html to see a photo of Allen with Garrison. 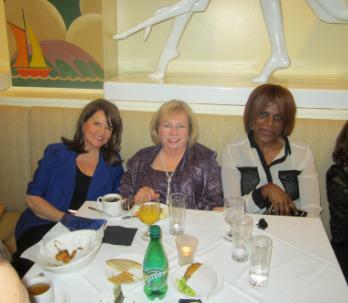 It was a highlight of an evening that was filled with the good wishes of friends and animal lovers. The store donated 10 percent of the book sales that evening to the local shelter Animal Ark, which is one of the nation’s leaders in the no-kill movement. If you have read A DOG NAMED LEAF, it would be a wonderful support to us if you would log on to Amazon.com, search for the book by title, write a short comment to say what you loved about the book, and gave it five stars. With hundreds of thousands of animal books for people to enjoy, reader comments mean a lot as someone is deciding to buy a book or request it from a library. Thank you in advance for your help. What in life, especially in relation to animals, are you grateful for? Please share your comments, answers to the question, and photos on Angel Animals Facebook page: http://www.facebook.com/angelanimalsnetwork or http://www.facebook.com/adognamedleaf and “Like” Angel Animals and A Dog Named Leaf. This week’s story is about Simon, a 10-year-old cat born with a spinal deformity who has been a registered therapy animal since 2009. He was recently awarded the Colorado Animal Hero Award in the service category for his outstanding therapy work. We encourage you to e-mail this newsletter in its entirety to your animal-loving friends and encourage them to sign up for our weekly publication. 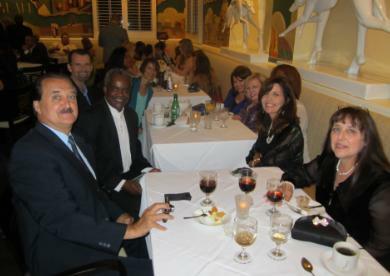 They will be joining a terrific community of thousands of like-minded people from around the world. We do not sell to or share our newsletter subscriber list with anyone. 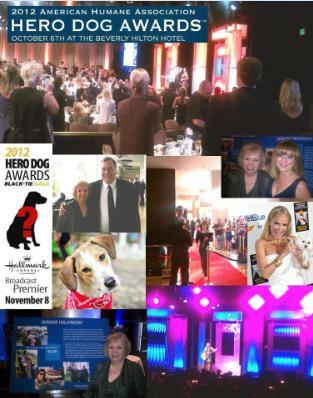 Last weekend, October 6, we had the honor and fun of attending American Humane Association’s Second Annual Hero Dog Awards at the Beverly Hilton in California. 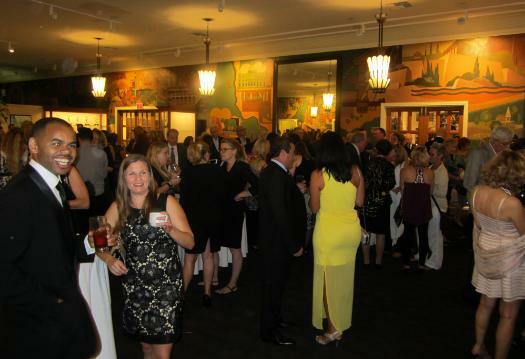 The weekend’s events started on Friday evening with a VIP reception where we got to meet American Humane’s president and CEO Dr. Robin Ganzert. 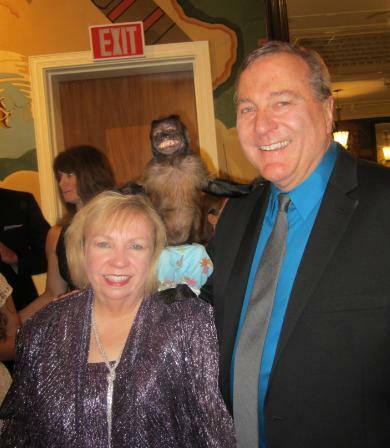 She and board member Steve Dale wrote the foreword for our book, ANIMALS AND THE KIDS WHO LOVE THEM, but we’d never met them in person until that night. 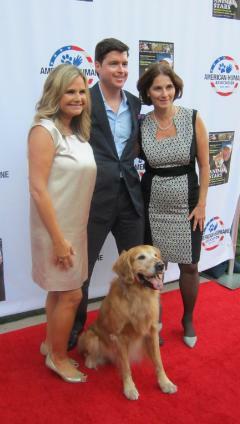 Saturday, Dr. Ganzert had invited us to walk the red carpet and be their guest at the award show. 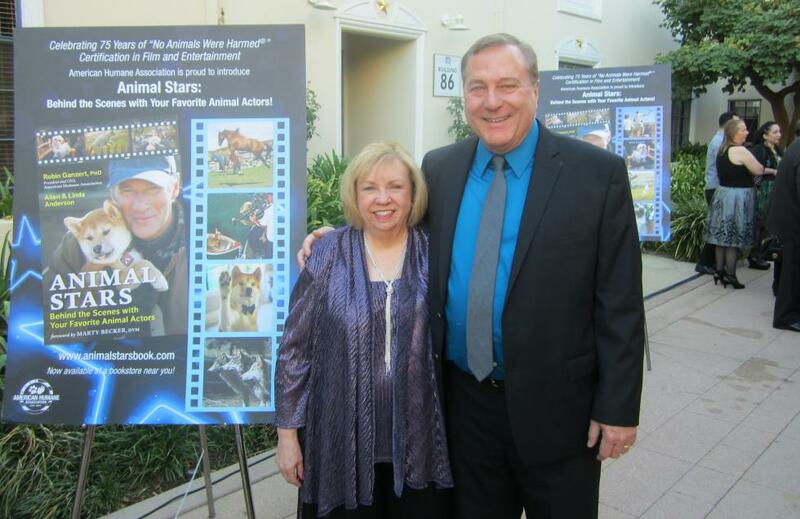 Betty White, a former board member of American Humane, received a special award to honor her years of devotion to helping animals. Eight dogs, voted on by the millions of people from around the world, were finalists in various categories such as therapy dog, military dog, K-9 dog, and service dog. That night, the winner was announced – Gabe, a combat-seasoned US Army NCO whose ability to sniff out bombs in Iraq saved hundreds of lives. 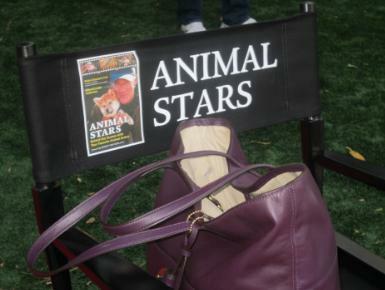 Visit http://www.angelanimals.net/recentevents.html to see photos of us at the event. Do you have a hero dog or cat or horse or rabbit or any other kind of animal who has helped you or others? Please share your comments and answers to the questions on Angel Animals Facebook page: http://www.facebook.com/angelanimalsnetwork or http://www.facebook.com/adognamedleaf and “Like” Angel Animals and A Dog Named Leaf. We will also have the questions posted on the Angel Animals Facebook page.